Researchers at Queen’s University have found that almost half of baby rice food products contain illegal levels of inorganic arsenic – despite new regulations set by the EU. In January 2016, the EU imposed a maximum limit of inorganic arsenic on manufacturers in a bid to mitigate associated health risks. Researchers at the Institute for Global Food Security (IGFS) at Queen’s have found that little has changed since this law was passed and that 50 per cent of baby rice food products still contain an illegal level of inorganic arsenic. Professor Andy Meharg, lead author of the study and Professor of Plant and Soil Sciences in the IGFS at Queen's, said: “This research has shown direct evidence that babies are exposed to illegal levels of arsenic despite the EU regulation to specifically address this health challenge. As babies are growing they are at a sensitive stage of development and are known to be more susceptible to the damaging effects of arsenic, which can inhibit their development and cause long-term health problems. Babies and young children under the age of five also eat around three times more food on a body weight basis than adults, which means that, relatively, they have three times greater exposures to inorganic arsenic from the same food item. The research findings, published in the PLOS ONE journal today, compared the level of arsenic in urine samples among infants who were breast-fed or formula-fed before and after weaning. A higher concentration of arsenic was found in formula-fed infants, particularly among those who were fed non-dairy formulas which includes rice-fortified formulas favoured for infants with dietary requirements such as wheat or dairy intolerance. The weaning process further increased infants’ exposure to arsenic, with babies five times more exposed to arsenic after the weaning process, highlighting the clear link between rice-based baby products and exposure to arsenic. 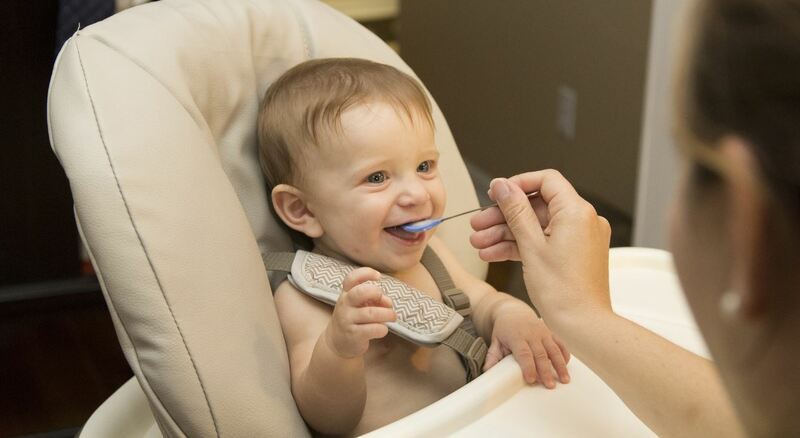 In this latest study, researchers also compared baby food products containing rice before and after the law was passed and discovered that higher levels of arsenic were in fact found in the products since the new regulations were implemented. Nearly 75 per cent of the rice-based products specifically marketed for infants and young children contained more than the standard level of arsenic stipulated by the EU law.